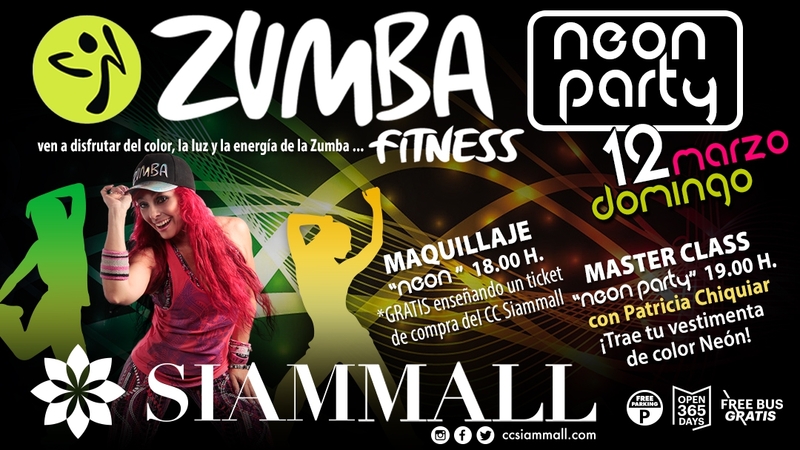 On Sunday March 12th at 19:00h at Siam Mall the Zumba Carnaval Neon Party arrives, where the always great Patricia Chiquiar will make all our visitors have fun dancing and exercising. The class is completely free, the only requirement is to come in a neon colored dress and be eager to have a good time. Don’t you have a neon colored garment? Don’t worry! From 18:00h with your shopping ticket our team will make you a great make-up for the occasion.